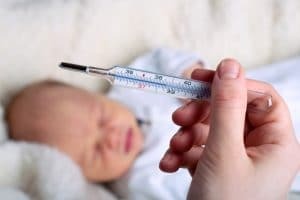 Lucy Norton considers the many consequences of medical misdiagnosis following the recent news of a criminal prosecution case of suspected Shaken Baby Syndrome being stopped after it was discovered the baby girl actually had a rare medical condition. I recently listened to a radio interview with the parents of a young baby who have just been reunited with their daughter after 8 months of separation following the discovery that her injuries, previously thought to have been caused by her parents, were actually as a result of a congenital disorder which went unrecognised. The baby girl was only 5 months old when her parents took her to hospital as she was very unwell. Several hours after being admitted to hospital, her parents were accused of harming her by shaking her – causing a bleed on the brain, amongst other issues. As she showed signs of Shaken Baby Syndrome she was taken into care and her parents were only allowed to see her during supervised visits in a contact centre three days a week. At the same time Social Services were making plans for her to be adopted to a new family. The baby’s mum, knowing herself to be innocent, spent a long time researching other causes of the symptoms that her daughter was suffering from. One that came up in her searches was that of a rare medical condition called Ehlers-Danlos Syndromes (EDS). According to the NHS Choices website, EDS are a group of rare inherited conditions that affect connective tissue. Connective tissues provide support in skin, tendons, ligaments, blood vessels, internal organs and bones. The different types of EDS are caused by faults in certain genes that make connective tissue weaker. Depending on the type of EDS, the faulty gene may have been inherited from one or both parents. The baby’s mum had herself tested for EDS and when she proved a carrier, she than had her daughter tested too. The test proved positive and after further investigation the doctors then discovered that the specific type of EDS identified could cause bruising and spontaneous bleeds on the brain, i.e. the hall marks of the suspected physical abuse. A Consultant Paediatrician, Geoff Debelle, (who is also the Child Protection Officer for the Royal College of Paediatrics and Child Health) was asked for his views on the case. He advised that there are protocols which should be followed when a young child presents with those types of symptoms. The protocols mean that doctors should check exhaustively for natural causes before involving police and social services. Clearly no-one wants a situation where a child is returned to an abusive setting, but the protocols should be followed and every effort made to check all possible causes of injury or illness are exhausted before a far-reaching decision is made. Fortunately, cases of this type are very rare but it is important to remember that there can be serious consequences of a delayed or wrong diagnosis. In any case of misdiagnosis there is also likely to be the knock-on consequence of delayed treatment as the underlying cause is not being dealt with, which can cause an injury or condition to be made much worse and the prospects of recovery may be reduced. Please get in touch if you wish to discuss misdiagnosis, or any other medical negligence issue.